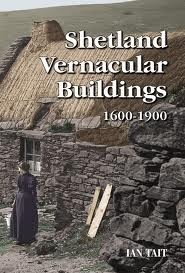 The study by the Curator of Collections at the Shetland Museum into vernacular building in Shetland has now been published: Ian Tait Shetland Vernacular Buildings 1600 – 1900 The Shetland Times Ltd., Lerwick, 2012. 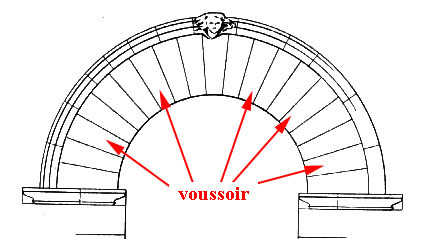 Dr. Tait’s research is an astonishingly comprehensive and detailed survey that investigates and itemizes not only house forms and materials, but also the intricate details that go to make these places - roofs, fireplaces, windows, doors, locks and more; and it is not only housing that is studied. 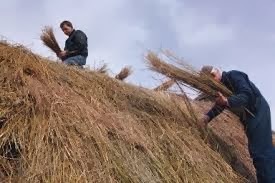 The associated croft buildings that were so closely integrated into habitation and daily existence on these islands are also researched - pigsties, barns, byres and other agricultural structures are all given careful attention; even sheep-shelter walls and enclosures for growing kale - a form of cabbage - have been researched. Nothing is considered insignificant. Life in these times and climes was indeed compact and coherent, embedded in its unique context. 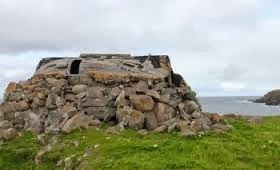 The surprise in this publication is to discover that what one assumed to be a Shetland 'vernacular' house - the classic 'bookend' cottage - is identified as not being part of the vernacular heritage. Why? 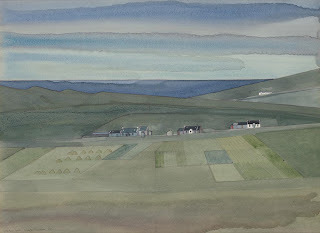 It has become Shetland's icon in current paintings and drawings by local artists, and in numerous other promotional images too. The unique profile of the skews and chimneys, or lums as the locals call them, located in the layering of shaded hills, punctuating these undulations with their subtly angled enclosures, or blocking distinctive silhouettes into the sky, has become the current image of Shetland. Tait argues for their exclusion in his vernacular study because the concept was introduced by Scottish managers who brought with them their images of home, complete designs with imported materials, most noticeably the slates and timber detailing. 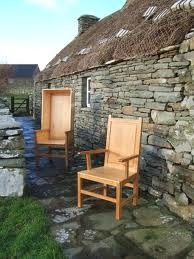 Shetland has much stone but no slate; and the trees have long gone from these islands that relied on collected pieces of driftwood for the timber that was cleverly crafted into tools and pieces of furniture. But did not slaves eventually become locals? It seems to me that placing such ‘academic’ restrictions on the idea of the vernacular flies in the face of ordinary, everyday understanding, even though it is technically correct. 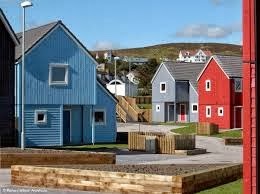 Accepting that the vernacular is housing or building that has arisen only from all Shetland circumstances - indigenous structures - one looks for the image of these places to seek out their identity. What are these places that seem to have faded from memories? Where are they? Appropriately, there is no better photograph of a vernacular dwelling than that on the dust cover of this book. 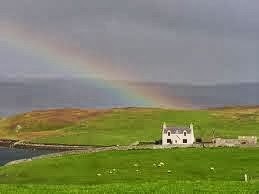 The inner flyer tells us that this is a photograph of the cottage that was the oldest vernacular house to be occupied in Shetland, right up to 1996, when it was demolished. What! - ? Did one read this correctly? 1996? Demolished? The photograph is in full colour and shows a marvellous house complete with the complexity of its set of associated buildings. Even a woman is shown - the last occupant? If this building was so significant, why was it demolished. Surely by 1996 the community must have been aware of its importance? One might understand if the date had been 1969, a time when the enthusiasm for things new saw numerous wonders demolished across the world. The text makes the statement as a cool matter of fact, without any sign of complaint or concern, or any apparent regret or sense of remiss. Why on earth was this place destroyed? By 1996 the world knew of the importance of heritage structures. 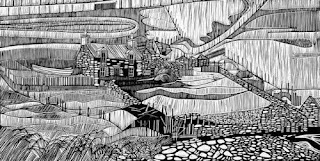 It is not as though we were still in the brash bold certainty of the 1960s and 70s, when modernism's ideals removed the rich core of many a toon, village, town and city to create the stark voids known today. That this last pure vernacular building could have been allowed to be demolished is a disgrace. Then there is another thought: why were all of the other vernacular buildings allowed to disappear? Is it true that roofs were removed to avoid the payment of taxes? Why was this law not changed, reversed, to encourage the maintenance of these old buildings? Did anyone care? Locals say that it takes only five years without a roof, or with a damaged one, for a place to become derelict. The ruins seem to confirm this, as do more recent examples of buildings that were intact, habitable, a few years ago but are now dangerous structures to enter, rotting edifices, one step away from classification as a ‘ruin.’ Sadly, these places are now certainly ruined. They include ‘vernacular’ structures and others and can be seen scattered across the islands, left as memories of another time. What number of vernacular buildings has disappeared? There must have been hundreds across the islands and yet so very little remains of their presence in past times. The great irony is that the book is committed so rigorously to vernacular structures after nearly all have gone. 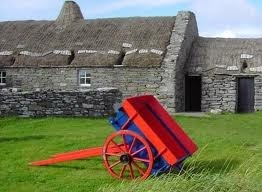 Only the croft house at Dunrossness, a building renovated by The Shetland Museum for public display, remains as an example of the vernacular form - a good one too. 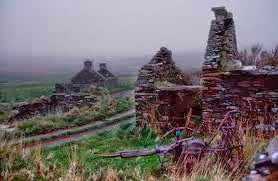 The remainder is, at best, now illustrated as ruins across the landscape, tumbling walls a metre or so high marking the locations and plans of the places now long deserted, lingering on just as stones and stories. Unst alone must have over a hundred ruins, both large and small. Some of these have been beautifully and carefully recorded by Mrs. Owers. 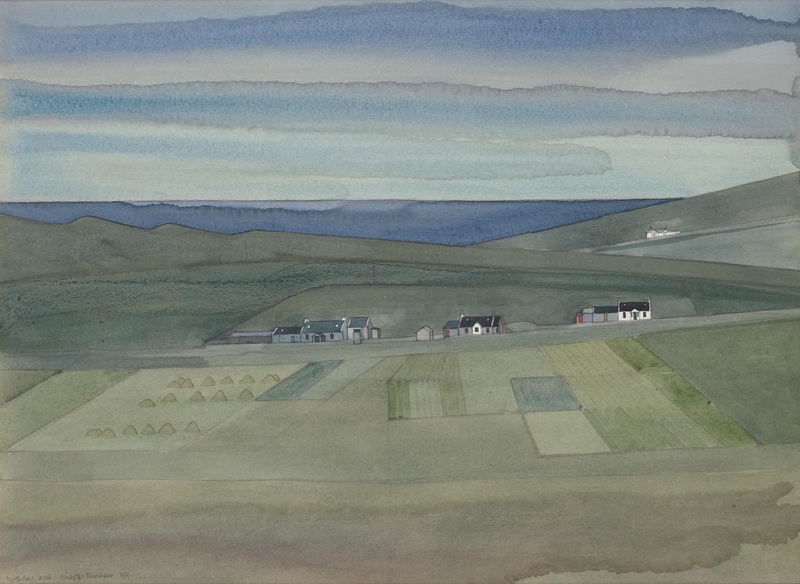 The Heritage Museum at Haroldswick on Unst holds these marvelous illustrations that connect people and place with historical documents and drawings: the names of those who lived in these places; their role and work; the time scale; the measured plans; the sketches of the walls, their details, and even occasionally their location in the landscape. This is a unique testimony that sets the example for other studies to look at the past as a whole - both its people and their places. The great sadness is that the image of the vernacular house has been eradicated with the certainty and thoroughness of the clearances themselves. The identity of these homes has been stripped from the modern mind, to be rediscovered in faded old photographs or in ancient postcards. 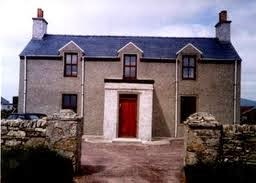 The 'imported' bookend form of cottage has become the current image of the old Shetland home. It has a cosy and romantically familiar identity. 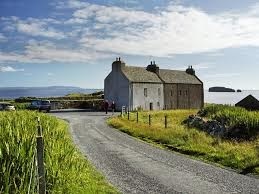 It is similar in form to those houses seen in the western isles and in Brittany, as well as throughout rural Scotland. Will this new publication restore the vernacular identity that does indeed fit so beautifully into the low, sprawling Shetland hills with its unique stamina, integrity, textures, forms and colours? The old images reveal a coherence that is admirable, a habitation that is truly fit for its place. The creation of an icon requires more than a text, especially an academic one, but it is a start. Shetland has always had a lingering memory of things old, a certain intrigue for pieces of different times and their stories. Baskets, tools, ponies and their memorabilia, as well as various other objects used for crofting, all have their stories, their collectors and breeders. The Shetland Pony stud book that was first printed in 1891 is still being published annually. The stud book for cattle is no longer in print. Cattle numbers on the islands have dropped dramatically. Now, in his book, Ian Tait is placing these memories and objects into the fuller context of the habitation - the home as croft: a complex of ben, back, byre, lum, store, shed and sty, all made from the same limited local materials, and frequently interconnected. Tait invigorates recollection and defines existence in times past with a unique clarity in his explicit, analytical detail. His enthusiasm for the past kindles the spirit in others. Given the role that the 'imports,' the ‘bookend’ cottages, now hold, why can these not become a vernacular - a part of it - if all of the true originals have now gone? Gosh, there is so much now imported into Shetland that one wonders why the academic rigour is required on just this point other than for the special vagaries of theoretical research. Norwegian houses; Norwegian boats; Tesco; and the rest of the world, best illustrated in New Zealand lamb, are all there in these remote islands. The landscape is being transformed into a Nordic vision with the new Norwegian kit homes popping up on the slopes, complete with their twin-coloured Norwegian stains highlighting walls, windows, doors and gables as if they were at home. Where is the commitment to the vernacular? Sadly, it seems, nowhere. But is not the classic Shetland sixareen and fourareen an imported Norweigen concept? Does one exclude these from being the Shetland natives that they have become? 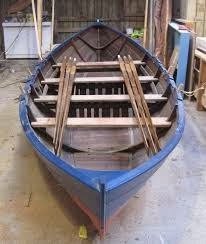 The narrow definition of ‘vernacular’ is a strange proposition given the way that these boats have become such an important part of Shetland's story. Even the wooden thumb latch that Tait says was styled on a cast iron import is shunned. Why not give credit to the transforming skill of the native mind? There seems to be an extreme rationalism here that creates its own rigour for its own specific purposes: academic purity. 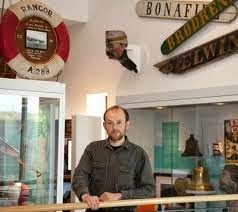 As in language itself - and Shetland dialect is not immune from this - imported names, sounds and spellings become part of the native tongue without any demands for the separation or isolation that this 'vernacular' world of building seems to want to impose on its categorization. Is it all just too academic? Was this Tait's PhD? One can almost hear the tutor's critique demanding that the scope of the study be ‘clarified’ - defined. Life is more muddled than rational minds might choose to allow with their insistence on precise analysis and narrow categorisations. It is sad to see anything become so intellectually rigid. Oddly other cultures are more inclusively tolerant. Sometimes this diversity is celebrated. The questions about matters vernacular will need more consideration. Greater flexibility seems to be required if the study is to match reality. Putting this matter aside, one can peruse the book and ponder the stark beauty of the old, as well as the raw hardships of life in other times, the efforts involved and the commitments made. 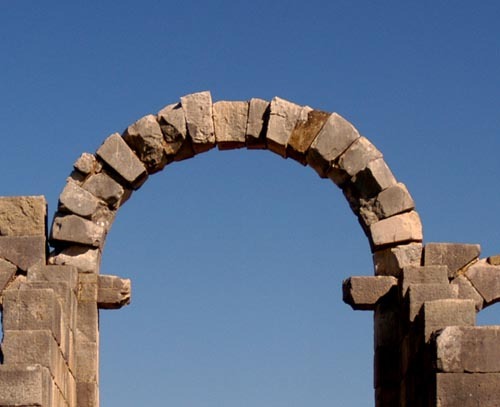 Did central hearths really work? What was this life? What community? What contentment? Tait has defined the time scale for his work as being from 1600 to 1900. Auld Gue, a typical manager's imported 'bookend' cottage, complete with imported Balahoulish slate roof and cast iron skylights, was built in1852. What was the context for this building? 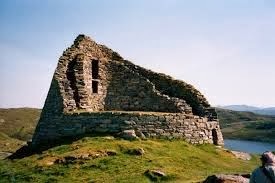 What other structures in Baliasta did it overlook, for this cottage still holds this supervisorary role that the laird’s representatives always required? A quick review of the interior design of this little home - two up, two down - reveals a sophistication in timber detailing and wall lining - lathe and plaster, pitch and Baltic pine - that is completely different to the vernacular house, with elaborate timber mouldings as skirtings, architraves, cornices and wallrails. What was this place? 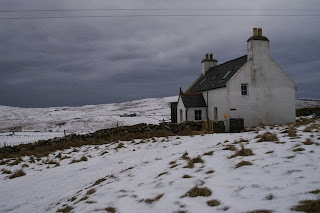 Livingstone, in Shetland and the Shetlanders, writes of his walk up to Crussafield that sits just above and beyond Baliasta - spelt 'Balliasta' in the old correspondence. Crussafield, (Field of Crosses), is said to be the site of the first All Thing on Shetland. Just above Auld Gue on the hilltop slope is the mysterious Giant’s Grave, a square made of four large stones. Those found guilty at the All Thing were apparently given the opportunity to run to the kirk at Baliasta. It still stands today as a ruin, stark stone walls in a graveyard. If killed on the way, stones in the form of a cross would mark the spot where the body lay: hence the field of crosses. A pardon would be given if the kirk was reached. Livingstone talks of how, when he was passing a cottage on his way up the hill, a lady in the porch beckoned him and welcomed him in. He records his astonishment at the interior. 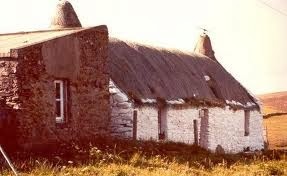 This cottage must have been Auld Gue. The lady must have been my grandmother. The relics that were once whole and polished in the interior include a Victorian chaise lounge, a set of six carver chairs, a tilting round dining table on carved tripod legs, cabinets and kitchen units. There are sundry pieces of Clarice Cliff and Royal Doulton dinner sets, cut crystal and decorated pots. Wall papered spaces - some walls were 19 layers thick - must have created a classical Victorian appearance, cluttered with what the stories tell of lost or pilfered musical instruments, clocks, china and books. One damp travel guide to Paris was found in the old cottage. No wonder Livingstone was amazed as he encountered this interior on his way to view the crosses on the field behind the little home. No wonder Tait wants to separate these buildings from any vision of vernacular. There is no sign of these now - no crosses or interior embellishments. The interior is more stark and white now, perhaps brighter, but not richer. The field has faded and the bones have eroded too. 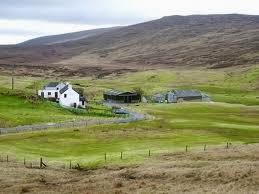 Shetland has acid soils that consume calcium. If Livingstone had been familiar with the vernacular house, as he must have been, then this cottage at Gue would have been a wonder for his eyes. 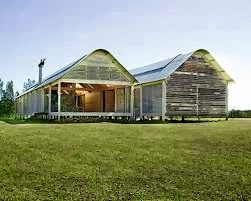 It seems that this is the difference that Tait is trying to highlight when he chooses to isolate these pretty places of the gentry from the raw beauty and bold necessity of the vernacular home that reminds one of Glenn Murcutt's corrugated iron houses in Australia, complete with their radial ridges and simple, juxtaposed rectangular plans. 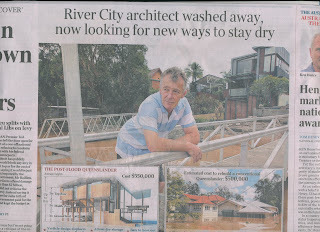 Does this remembered analogy of older settlement give Murcutt's work its silent charm? The vernacular house has a rich organic character, shaped out of the earth, literally. It was made of rocks, straw and driftwood. Its minimalism is astonishing, as much as its identity is. Organic comes to mind but it is more than this. It was made by builders who new their materials and the climate they were building in. 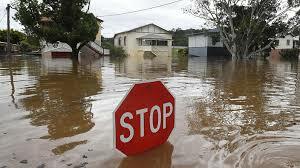 In making this assessment, one has to hypothesize that the climate, like the people, has not changed greatly. The recent riches from the North Sea and now West Atlantic oil have transformed this society. Maybe it is changing the climate too? 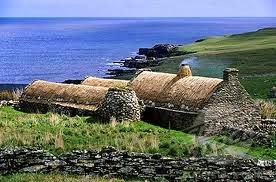 The roof is the core of the identity of the vernacular house: that rolled ridge strapped with nets and ropes stretched with rocks into a snug, tight shelter firmly moulded on rocks set as dry stone walls, with minute and minimal openings for light and life - for protection from the rain and wind: this is treeless Shetland. 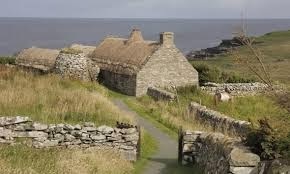 Cottages linked to barns, byres and fields framed in dykes, interlaced the hills that are intimately worked with as much craft and graft as was needed to construct the houses. There is a satisfactory resolve in the appearances of these places, something quaint and old, something nostalgic that makes the modern heart yearn for such a life without realizing the difficulties that this existence encountered. Such is our selective dreaming and the power of whimsy. The impressive quality of Ian Tait's book is the way that the character of the people of these older times has been implied. 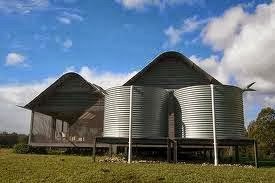 Tait makes vernacular buildings really come to life. It was interesting that, after mentioning this publication at a small gathering on Unst, one older man proudly pointed out that a photograph of his mother was in the book. He said this with much pride. 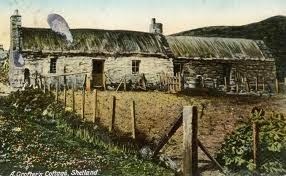 Ties to family and the past remain strong in Shetland. 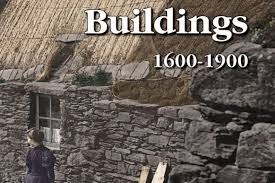 One can read the book with the knowledge that it is not it only academically thorough and rigourous, but it is also human, understanding the folk of the times 1600 – 1900 with a gentle, considerate compassion. They are, after all, Tait’s forebears too. The book is a good example of research. It is important for architects as well as historians because of its empathetic rigour, its clear and certain exposition and its understanding that houses are more than shelters; that buildings are more than sheds; that they include a care and concern for the intricate details and the lives of the people who inhabit them, their interaction, just as all good design does. This image of a vernacular croft house shows the home of Mary Jamieson (1860-1939), the Gillies, Sandness, which she shared with a pet otter. 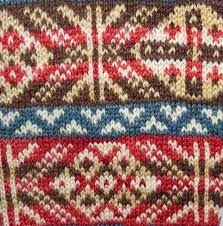 The photograph has been taken from the exhibition at the Shetland Museum and Archives in Lerwick, 31 May 2015 - Taatit Rugs: the pile bedcovers of Shetland. The exhibition is highly recommended.